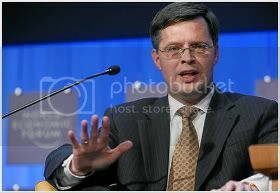 Dr Jan Peter Balkenende is the Prime Minister of the Kingdom of the Netherlands. He delivered this speech at the 30th Singapore Lecture organised by the Institute of Southeast Asian Studies on 23 October 2009. When Dr Albert Winsemius finally retired in 1984 after many years as chief economic advisor to Singapore, he said that he was leaving this country ‘with a saddened heart’. ‘Singapore became part of my life,’ he said, with a great sense of understatement. For nearly twenty-five years, Dr Winsemius had been closely involved in Singapore’s explosive economic development. His expertise and Prime Minister Lee Kuan Yew’s visionary ideas proved to be a golden combination. Dr Winsemius helped bring about Singapore’s rapid industrialisation in the 1960s. In the 1970s he was personally responsible for persuading firms like Philips to make high-tech investments here. And he was also one of the first to recognise Singapore’s potential as a financial centre and logistics hub. It all started around 1960, with that legendary first piece of advice to leave the statue of Stamford Raffles standing, despite its direct reference to the colonial past. Winsemius understood exactly how important it was for foreign investors to have confidence in the stability of the newly-born republic. And a symbolic break with the past would surely have sent the wrong message. As you know, the statue remained standing, and the rest is history. Singapore has grown in a matter of thirty or forty years into one of the most successful, innovative and internationally oriented economies in the world. Without reservation, I would say that this city-state is in many ways an example and a source of inspiration to other Asian countries and the rest of the world. My personal relations with Singapore date from the 1980s, when my brother lived and worked here. I came to visit him on four occasions, and I still remember how fascinated I was. This city really appealed to me. Because of its incredible economic dynamism. Because of people’s confidence that their future was in their own hands. But above all, because of the opennessand hospitality shown to me. That theme is the relationship between economics, socioeconomic governance and shared values. I am convinced that the strength of a society depends on striking the right balance between the three. That applies at national level. It applies to relations between countries in the same region. But increasingly, it also applies to the world community as a whole. The current financial and economic crisis underscores this only too well. What originally appeared to be a problem in the American mortgage sector developed at breakneck speed into a crisis affecting the entire world. Irresponsible risk-taking in the financial sector has led to a very sharp worldwide decline in industrial production and international trade. That is how closely the world economy is now interconnected. That is how crucial the moral dimension of responsible behaviour in international economic transactions has become. And that is why it is so important for us to seize on this crisis to work towards new global partnerships, aimed at future prosperity and stability for all. That is the theme of my lecture today, and I want to elaborate on it using the three concepts I just mentioned: economics, governance and values. Ladies and gentlemen, the fact that the world economy is becoming increasingly interconnected is in itself a very good thing. Singapore and the Netherlands, with their open, market-driven economies, are living proof that international trade lays the basis for prosperous, stable societies that enjoy a high quality of life. This common understanding perhaps explains the special nature and strength of our bilateral economic ties. Those ties go back a long way. Dutch merchants reached these shores as early as the late sixteenth century. That moment marked the start of Singapore’s strategic position as a trading post and military stronghold, a position it held for many centuries. And did you know that the first international bank to open a branch in Singapore in the nineteenth century was Dutch? Or that Dutch companies such as Shell and Heineken have been established here since the early part of the twentieth century? These days, hundreds of Dutch companies are active in Singapore. And for many, this city is much more than simply a place to do business. It is a springboard to the rest of Asia. In the same way, the port of Rotterdam and business centre Amsterdam are springboards for many companies from Singapore that wish to do business in Europe. That too draws us closer. But perhaps the most striking feature of the bilateral economic relations between Singapore and the Netherlands is the eagerness with which people share knowledge and seek to learn from each other. That applies in particular to everything relating to water management. Later today, I will be attending the launch of the Aquatic Science Centre, a new centre for joint research in the field of hydraulic engineering. Of course, the Centre serves both our interests. Since Singapore and the Netherlands are located on the sea, they face a special challenge now that climate change is causing sea-level to rise. At the same time, we are competitors in the growing worldwide market for state-of-the-art water expertise and hydraulic engineering projects. Yet still we work together, in the conviction that cooperation will benefit us both, and bring us both greater success. That is a sign of strength and self-confidence. I should like to highlight this, because I believe that working together on the basis of strength and self-confidence must define relations between Asia and Europe as a whole in the 21st century. You know that the dean of the Lee Kuan Yew School of Public Policy, Professor Kishore Mahbubani, has some very clear opinions on this. Unfortunately, he could not be here today, but I was lucky enough to talk with him when he was in the Netherlands a few weeks ago. This summer I read his fascinating book, The New Asian Hemisphere: The Irresistible Shift of Power to the East. There is a lot of truth to Professor Mahbubani’s analysis. In Asia, the only way is up, and Asians rightly derive considerable self-confidence from that. It would be unwise of the West to deny Asia’s tremendous strength and economic potential. And it would be even more unwise to hold on to the remaining traces of an outdated and misguided sense of superiority. Asia does not need to prove itself to the rest of the world. That is also my conviction. But as I told Professor Mahbubani before: do not underestimate the dynamics of the European Union and its ability to adapt. Given Europe’s turbulent history, it is nothing short of a miracle that it has succeeded in the past sixty years in bringing its citizens peace, prosperity and legal certainty. This autumn we will be commemorating the fall of the Berlin Wall. That event marked the beginning of a period of unprecedented European élan. A period in which a single market was established with no internal borders and with free movement of persons, goods, services and capital. A period in which the euro was introduced – a currency that has proved to be strong and stable in the face of crisis. And a period in which the Union grew from 15 to 27 member states, an extraordinary tour de force that succeeded without any real problems. Today we have a Union of 500 million citizens with real purchasing power. A Union with a highly-skilled workforce and a high-quality, innovative business community. Logistical connections by road, water and the world wide web are excellent. And now, the European Union is on the eve of a new treaty which will strengthen it both politically and in terms of governance and decisiveness. In other worlds, Europe has proved itself capable of continually reinventing itself, and it will keep on doing so in the future. What is more, economic relations between Asia and Europe have become much more significant in the past ten years. Since last year, Asia has been a more important trading partner for the EU than the NAFTA countries in North America. A third of all foreign direct investment from Europe now goes to Asia. And three thousand European companies are active in Singapore alone. So I see Asia’s rise in the 21st century not as a shift of power, as Professor Mahbubani calls it, but more of a sharing of power. Not as a threat, but as a tremendous opportunity to work together and to benefit as equals from each other’s strengths. If things are good in Asia, they are good in Europe too – and vice versa. That is what we should be working towards, for instance in the biennial Asia-Europe Meeting and in the dialogue between the EU and ASEAN. Singapore and the Netherlands can take the lead, as founding fathers of ASEAN and the EU, as trading partners and as friends. And that brings me to my second point, the need to work towards new forms of global governance. Forms that are in line with global economic trends and the shifting balance of power between countries and regions. There can be no doubt that this process has speeded up in the wake of the financial and economic crisis. As President Obama recently said, during the crisis in the 1930s, it took more than a decade for the world to meet in Bretton Woods. Now it only took a few months, so the global community acted much faster. In the past year, the G20 in particular proved to be an important and effective forum for dialogue. Together we opposed protectionism. Together we made agreements on support measures. Together we are working towards better financial oversight. And together we are going to fight the unhealthy bonus culture in the financial sector. Despite all the work that still needs to be done, these are important and remarkable results. Countries have gone further than anyone could have hoped in the knowledge that, increasingly, their own interests and the general interest are one and the same. My experience as a participant in the talks is that the G20 is not dominated by a few large countries. Times have changed, and that is what makes the G20 process so effective. The G20 gives a voice to every continent, and represents two-thirds of the world population. The President of the African Union and UN Secretary-General Ban Ki-moon both attended the Pittsburgh conference. I was also delighted to meet your Minister for Finance, Tharman Shanmugaratnam, who was representing the Asia-Pacific Economic Cooperation forum. So the G20 process is built on the common understanding that global problems demand global solutions. And that is the principle on which global governance in the twenty-first century should be based, because no single country is capable of tackling the major problems of our time on its own. The climate, food and water crises, our future energy supplies, the debate on free trade and other financial and economic issues all transcend borders, and are all closely linked. This means we must be willing to listen to each other as equal partners. It means we need a sense of responsibility that goes beyond our own backyard and the immediate future. Take, for example, the challenge awaiting us later this year in Copenhagen where we will tackle climate change. Or take the way the Netherlands and Singapore are working together in Uruzgan to achieve a secure, stable Afghanistan. That attitude, that willingness to find a solution and to share responsibility is growing. I not only saw that at the G20 meetings. I heard it too during this year’s UN General Assembly, where major Asian countries like China and India expressed their serious aspirations for Copenhagen. I truly applaud this trend towards thinking in terms of ‘it’s our world, it’s our future’. Which brings me to the third and final theme of my lecture: the importance of shared values. Confucius once said that all people are the same, only their customs are different. That is a perfect image, because it stresses not only the similarities between people and peoples, but also their individuality. These two elements go hand in hand. Let me start by saying this. Though shared values are important, we don’t all have to behave in the same way. People draw strength from their own traditions, their own culture, their own religion. That has always been the case, and that is how it should remain. After all, globalisation not only gives people more opportunities, it also gives them more uncertainty. In a world where change is ever more rapid and unpredictable, the need for something to hold onto is growing. If only for that reason, we should cherish people’s individual and collective cultural identity. It is simply invaluable and indispensable. At the same time, as Confucius said, all people are the same. Everyone wants a decent life. Everyone wants to feel safe. Everyone wants to be free to develop their talents, whether they live in the Netherlands or Singapore, or anywhere else in the world. It took two devastating world wars before the basic values underlying these human needs were set down in the Universal Declaration of Human Rights. The Declaration states plainly that all people have the right to ‘freedom of speech and belief and freedom from fear and want’. For the past sixty years that has been our moral compass. For sixty years this has been a humanitarian and democratic ideal upon which we can all call each other to account. And for sixty years, these values have provided the foundations for cooperation within the international community. It is my firm conviction that building on these values is closely linked to economic success. Francis Fukuyama once pointed out that a country or region’s competitive position depends on the degree to which people have confidence in the stability of its society. Singapore’s explosive development is the ultimate proof of this. Confidence in Singapore started symbolically with the decision to leave the statue of Raffles standing. But there is, of course, more to it than that. A company will only make large-scale investments in a country that provides certainty. Singapore does that. Closer to home too, I have seen very clearly how the economic dynamism in the new member states of the European Union has increased sharply in a short time. The main reason is the confidence investors have gained now that these countries are embedded in a stable community of values, built on four pillars: democracy, freedom, solidarity and legal protection. So investing in shared values is not only a moral duty, it also pays dividends. And if I am not mistaken, the current crisis reveals how the same mechanism works at a different level. In the wake of the crisis, a moral agenda is unfolding that urges us to action. I have already referred to our shared interest in a stable financial sector, because the greed of a few must never again cost so many their jobs. I have also referred to the climate debate, because our choices will determine the kind of world we leave behind for our children and grandchildren. And I would now refer to our responsibility for the situation of the world’s poorest people, because in the long term there are few greater threats to international stability than large numbers of people living without hope of a better future. For that reason alone, we cannot leave them to their fate. Confucius said that when the rich grow thinner, it is the poor that die of hunger. Today, we are in danger of finding ourselves in this very situation. So if there was ever a time to fight for freedom from want, that time is now. Prime Minister Lee Kuan Yew and Dr Albert Winsemius knew this better than anyone. And Singapore and the Netherlands know it from experience. Let us continue to work in the same spirit towards a more prosperous, dignified future.